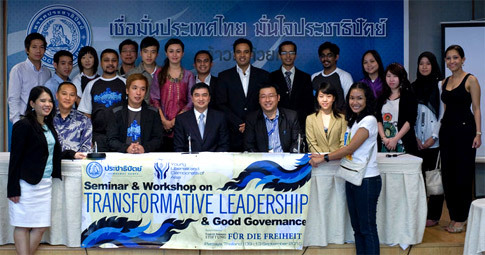 In their efforts to shape future leaders, the Young Liberals and Democrats of Asia (YLDA) i.
YLDA impressed upon the group the value of listening to become a good leader. Conflict resolution, and problem solving and decision making were also discussed. Strategies to cope with stress and manage time were identified. YLDA met Prime Minister Vejjajiva when they visited the DP Headquarters. The encounter was very encouraging, and the group could only describe the Prime Minister by the indispensible qualities that leaders should have – inspiring and motivating.